No words can adequately describe the courage and madness in fighting a government’s violence against its people. To understand this, you must watch it unfold. 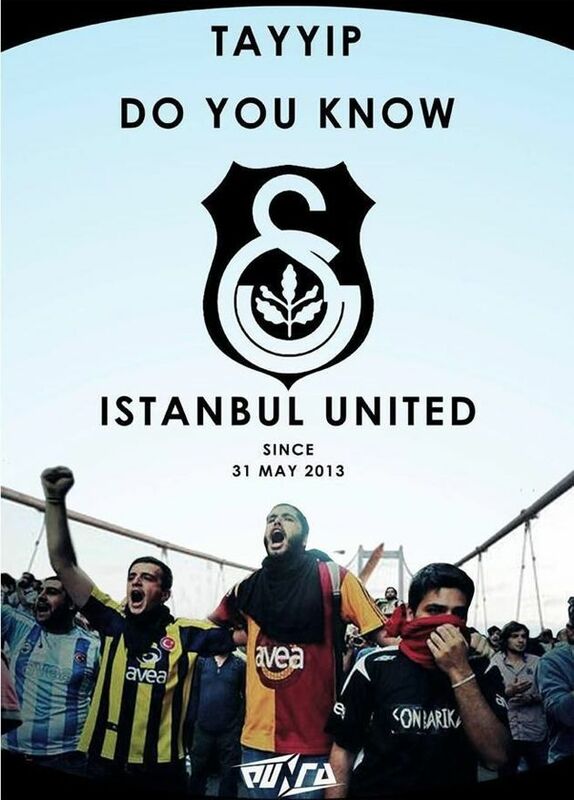 See how football fans influenced the 2013 Gezi protest in Turkey. For those who missed this when it happened (as I did), the Gezi Park protest started as a peaceful Occupy movement. Young people occupied the park to prevent its destruction for construction of a shopping mall, dictated by Erdogan. On May 31, 2013, the government used police force, water cannons, and tear gas to disperse the protestors. The protestors continued to resist, and they were bolstered when they were joined by Ultra supporter groups from the 3 rival clubs: Beşiktaş, Galatasaray, and Fenerbahçe. Rousing photos of the unified supporters proclaimed them to be “Istanbul United”, in defiance against Erdogan. The photos caught the eye of Directors Faire Eslam and Oliver Weldhauer, who literally dropped what they were doing and traveled to Gezi Park to capture the moment from a football perspective. The Directors start with intimate and honest interviews of members of each supporters group. The ultras come across as regular guys who are casual in their historical hate of their rivals. On the streets or in the stands, the ultra groups would be happy to fight, beat up, and even kill their rivals. They scream horribly offensive chants and curses at each other. Come on and shoot! Come on and shoot! Eslam and Weldhauer took their initial footage, made a trailer, and started an indiegogo campaign to complete the film. They also incorporated cell phone videos from an internet archive (that no longer seems to exist, although there were remnants at the website everywheretaksim, however that site seems to have been taken down after the Jun-25-2018 Turkish election that reaffirmed Erdogan’s autocracy). Put together, the footage in Istanbul United is extraordinary and emotionally persuasive. However, there is little explanation of what is going on. I could never really figure out the timeline of the footage, and it could be that much is not shown in sequence as it occurred. At the end, the film crew returns to the stadium at the beginning of the following season, as if to imply that the supporters groups have simply returned to rivalry as usual. But I actually wasn’t sure what was meant. There is not much soccer in this film, but you get a real feeling for what it means to be an Ultra in Turkey. If you want a film that makes you proud to be a football or soccer supporter, this is the film to own. 32-minute documentary by Brandon Jourdan. Produced in Aug-2013, it covers the background of the park resistance and explains the movement as it progressed. Its coverage is more analytical and less emotional. It briefly covers the unity of the supporters groups, and it ends with positivity on the short-term aftermath of Gezi. Ayaktakmi covers the intermediate-term aftermath of the protests: the arrest of Besiktas supporters, banning of fans from stadiums, and the creation of a pass system that identifies fans while generating income for Erdogan’s family. Cagri Özdemir on “What’s Left of Turkey’s Gezi Protest Movement”, DW.com, May-31-2017. Updated on Jun-25-2018 to remove the reference to the everywheretaksim website.